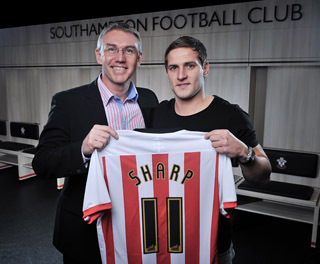 Sharp has re-joined former boss Nigel Adkins who was his manager at Scunthorpe. Saints expect he may be available to face Cardiff on Tuesday evening. It's reported that Southampton have paid approx £1.8m for his services.